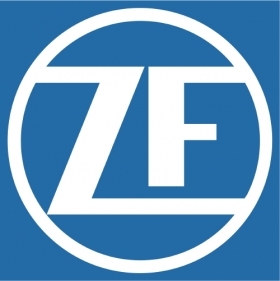 NEW YORK (Bloomberg) -- ZF Friedrichshafen is restarting talks to exit its joint venture with Robert Bosch, people with knowledge of the matter said, as it seeks to clear the way for its takeover of TRW Automotive Holdings. The two closely held German companies plan to return to the negotiating table this week, after a brief break due to summer holidays, said the people, who asked not to be identified discussing private information. ZF is seeking to sell its half of the steering-systems venture to Bosch to avoid antitrust issues because TRW has a large presence in steering systems, people with knowledge of the matter said. If a deal with Bosch is reached, an agreement to acquire TRW and create the world’s No. 2 automotive supplier could come as soon as next week, the people said. The Bosch partnership was formed in 1999 and has about $5.5 billion in annual sales. ZF and TRW have already agreed on the broad outline of a merger, one of the people said. Representatives for TRW and Bosch declined to comment. A spokesman for ZF couldn’t be reached for comment. TRW shares climbed 2.5 percent to $101.20 on Wednesday in New York, reversing earlier losses and valuing the company at about $11.3 billion. TRW and ZF have discussed a price of about $105 to $110 per share, though the amount is still being negotiated, people familiar with the matter said last month. ZF confirmed in July that it’s in negotiations to buy TRW, which would create the world’s second-largest supplier by sales, trailing only Bosch. The deal would combine a maker of transmissions with a leading producer of car-safety technology.